The Farm Tech Vlog! 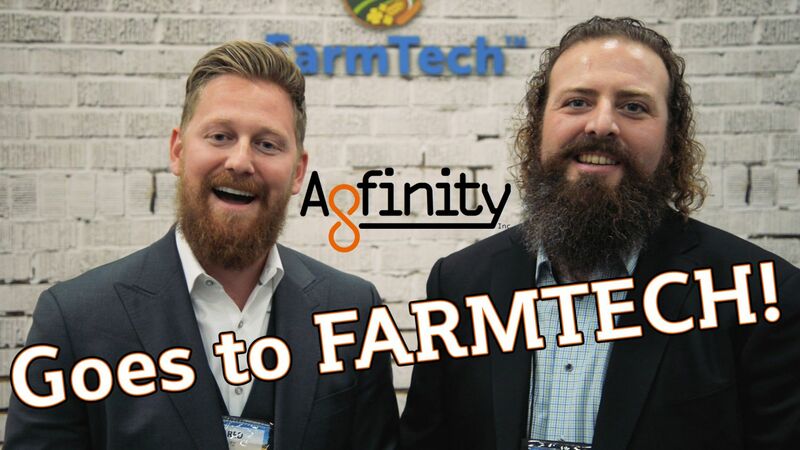 - Agfinity Inc.
Well the guys down at Agfinity made the rounds at Farmtech 2018, and let us tell you, it was an AWESOME time! Did you miss Farmtech this year? We really recommend you go in 2019, but in case you DID miss it, Joseph and Jared vlogged the whole experience this year! And if you have seen any of the videos from these 2 you are for sure going to want to see this one! But onto the topic of Agfinity’s FIRST ever vlog, the guys are pretty funny if we do say so ourselves, and they can entertain the hardest of us! From giving their “hydration tips” to making sure to “Cheers” all passers by, Jared and Jo sure know how to put on a show! However the guys are still more than just entertainers! In this episode of the Agfinity vlog, there is talk about the latest pea tariff and how that might affect growers this season. As well as helpful things they really love about Farmtech! All in all Joseph and Jared had an awesome time at Farmtech 2018, and as they will tell you in the video (Which is available to watch ONLINE BELOW!) Farmtech is really about putting faces with all those names that you talk to on the phone throughout the year! Hey maybe you are in the vlog! Check out the video RIGHT HERE https://www.youtube.com/watch?v=stopKAWPwUY and if not, well, there is always 2019 to catch up with the guys from Agfinity! Trust us, you won’t be disappointed you did!